I think most people would agree that summer is the time for sauces for all occasions. I would argue that part of that is related to the bountiful assortment of berries that are popping up everywhere. As of late, cherries have been exploding up here in the Pacific Northwest and they are beautiful! Problem is, with this crazy weather, the cherry season is all screwed up. As you know, I have been making jam like there is no tomorrow! I know, why am I talking about jam? Just give me a minute and I think it will all make sense. Okay, where was I? Right, making truck loads of jam. Delicious jam varieties such as strawberry, raspberry, blackberry, and marionberry jam. However, I’ve had one type of jam that I have yet to conquer…….cherry. So, I set out to make cherry jam. It was as simple as all the rest, but the only problem was pitting all those little buggers. Luckily, it went pretty quick. Want to see the finished product? Okay, here is my beautiful cherry jam. The jam was sweet, tart, rich, and thick. Everything you would want in homemade jam. If you can’t remember how to make jam, just click here to review. The jam was made and was ready to chill in the fridge. The next morning, it was time to see how our jam fared on a piece of toast. The jam tasted really good, but there was a glaring issue. While the jam cooked, the cherry skins had separated from the flesh and hadn’t broken down at all. Instead there were just cherry skins floating in the jam (it really felt like something out of horror film… or maybe off the set of “The Walking Dead” lol). I considered digging through the jam and trying to remove the skins but that would have taken a long time and I didn’t have the energy for that. It was decision time: What on earth could I do to salvage this beautiful jam? Then it hit me! 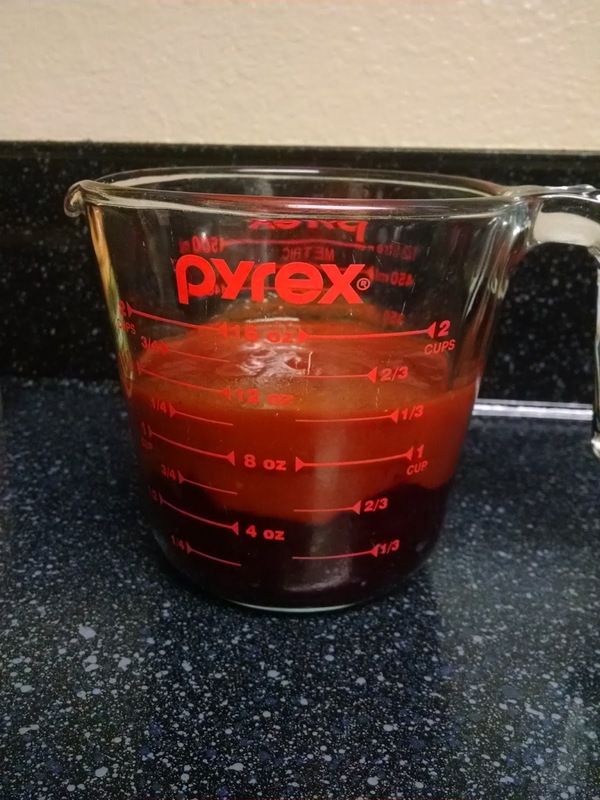 I have been exploring different versions of barbecue sauce since I started making my own sauces a year ago, or so. 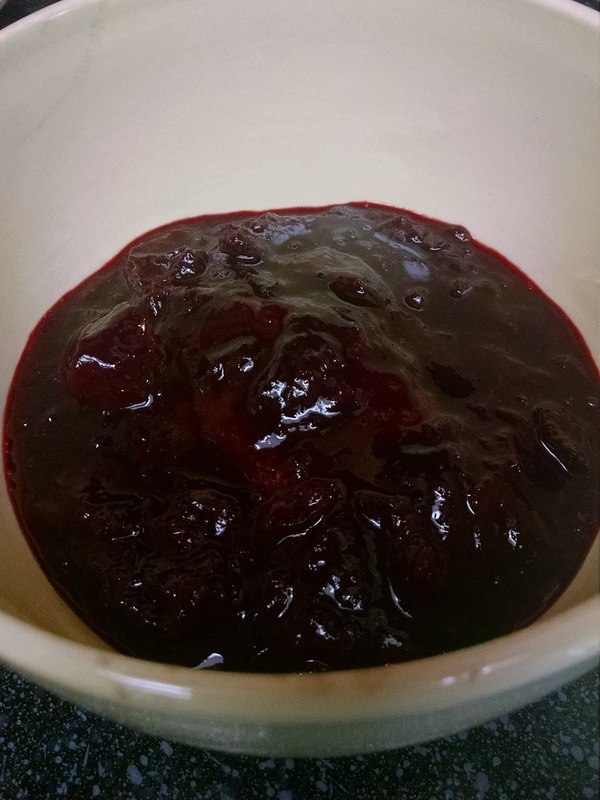 Recently I shared a blueberry barbecue sauce recipe, which you can find here. I thought, maybe I can turn this dilapidated cherry bomb that resembled jam, into a cherry barbecue sauce! I got online just to make sure I wasn’t going to do something totally crazy, and there it was, cherry barbecue sauce. Bingo, I thought. One day, in between running errands, I took my own homemade barbecue sauce that I already had prepared in the fridge, the cherry jam, and combined them together. How is this for a science experiment? I started with a half cup of each to get this recipe going. After that, just add the mix to your favorite blender or food processor and process until smooth. You should have something that looks like this. The barbecue sauce tasted amazing and was smooth as silk, but it lacked some flavor. 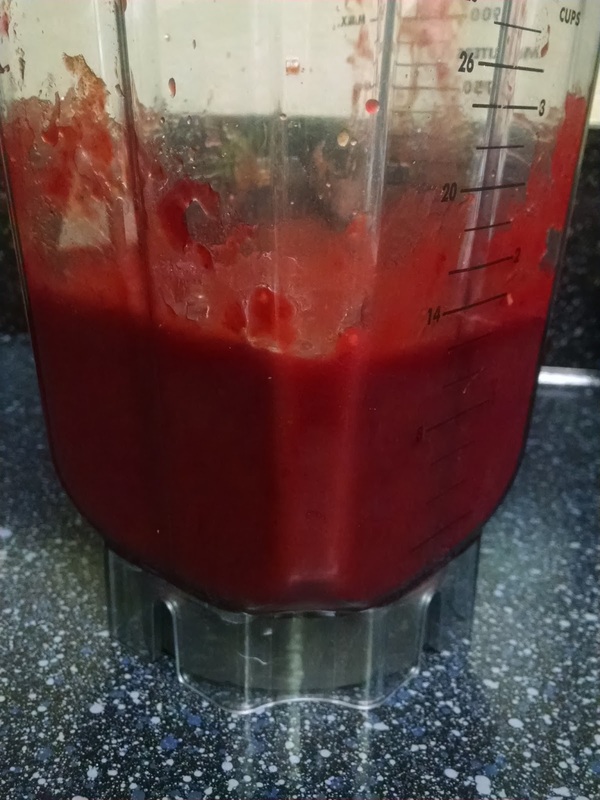 I added the remaining quarter cup of cherry jam and blended again. The flavor was much better! Even though the cherry jam was subtle you could pick up some of the cherry notes. That’s it. You have an amazing barbecue sauce that is unique and different. Since we are on the topic, you can use just about any fruit in barbecue sauces. Some of the more common types are blueberry, peach, blackberry, and many others. How should you use this sauce? Well, honestly, the sky is the limit. It would work on fish, chicken, pork or beef just as well. You could use it as a marinade, glaze or to help develop an amazing crust on your choice of protein. Heck, you could even use it as a condiment for sandwiches, wraps, and a number of other applications. This post on barbecue sauce proves that even a simple mistake for one recipe can open the door for something new and unexpected.